19\04\2016 Salani has always been care about rowing event promoting. Even more if it meas to break up a new record or endurance rowing challenge. Recently it has been re-discovered that it was possible to travel from Milan to Venice in a boat using only canals. 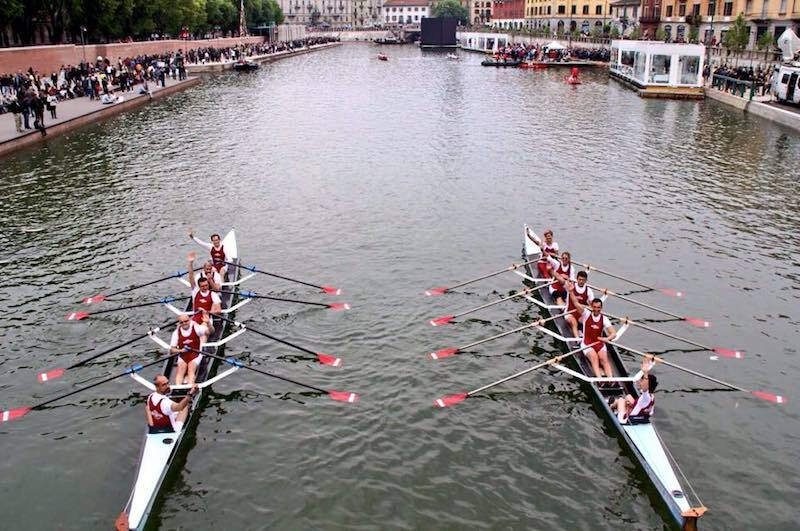 Members of the “San Cristoforo” rowing club attempted the 450km trip during the Expo Milano 2015. The last time this trip was attempted under human power, was 1927.What this 11 rower have done is very incredible! All crew, whole affiliated to San Cristoforo Club of Milan, started this adventure on May 16th in Milan and concludde in Venice on May 24th, just in time to participate in “Vogalonga”, the famous Venetian regatta. Sandro Abu Ne’Meh, Daniela Bialetti, Arianna Cerea, Massimo Citterio, Nicola Frisia, Luca Malanca, Leonardo Modulo, Andrea Pantò, Giovanni Preda, Giacomo Scandroglio, and Ivana Babic have set forth with strong backs and a will to succeed. As part of Expo 2015, this event helps promote the beauty of Milan and the surrounding area, as a city and region of water. They also hope to promote the sport of rowing and rediscover the ancient transport and trade routes that made Milan and Venice so historically important. Now it’s time to remember some statistics challenge: 7 days, 11 rowers,450 km., 2 regions and 3 rivers crossed from Milan to Venice by rowing. The crew faced the challenge on two Salani Gig with wing rigger handling Salani oars. 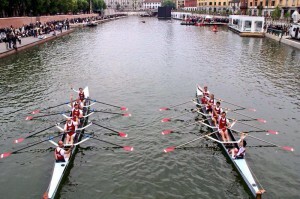 Giovanni Fanzoi’s video show the crew’s challenge, their name is “Remiveri”, that were the first rowers to go trought Milano – Venezia waterway since 1927! Salani team congratulate with the crew and whishes good luck for the next challenge!